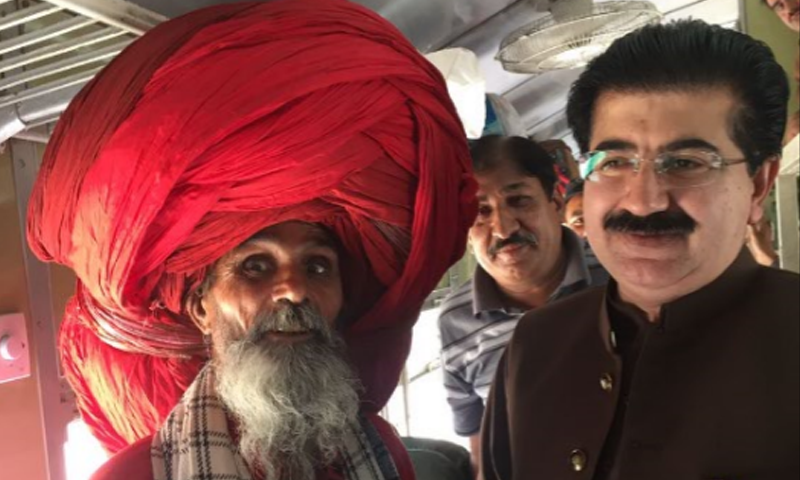 Islamabad: New Chairman Senate Sadiq Sanjrani has just set an example for all politicians by travelling in train. While most politicians choose to travel on planes, the newly elected chairman of senate chose the train for his first official visit to Lahore. This move was welcomed by Minister Railway Khwaja Saad Rafiq, as he presented flowers to the new chairman senate for opting to choose train over airplane. On the occasion CEO Pakistan Railways, Javaid Anwar, and Divisional Superintendent Lahore Sufian Dogar received the Senator at Lahore station. Before politicians started using airplanes for their comfort during travels, trains used to have special carriages for high profile people like the president, ministers and politicians. However as the air services were chosen over the long travels of train, the state of the railway service started to deteriorate. Hopefully this move by the Chairman Senate will start a trend where these high profile people will opt for trains. The chairman told the media that he plans to visit Allama Iqbal’s mausoleum and Data Darbar during his stay in Lahore.